Price: 120-Hour Card: 64 EUR (see discounts, validation below). Valid for one person, regardless of age, for 120 hours starting from the time of first use! With Airport-Ibis Hotel Pick-Up or free delivery to your Hotel or Apartman in Budapest! Enjoy the Benefits for 4 Days! 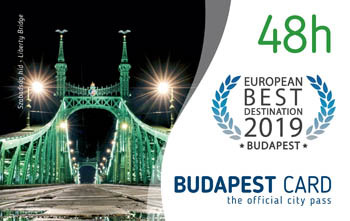 120 Hours – a full 5 days in Budapest is plenty of time to discover the city’s must-see attractions as well as the hidden spots. With free use of the extensive public transport system – 4 metro lines, numerous tram, bus and trolley services – it will be easy to do. 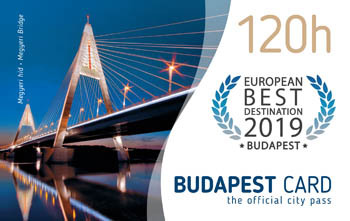 Where to Pick-Up Your 120-Hour Budapest Card? 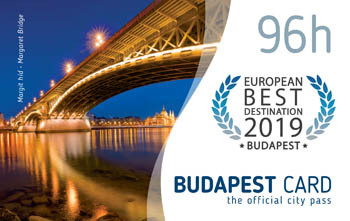 Your card will be delivered to your hotel or apartment in Budapest. It’s free of charge. Please add your hotel/apartment name and address in the required filed when buying the card. The card is valid for one person for 120 hours starting from the time of first use (there’s a built-in chip that activates the card upon first use). You also have to fill in the month/day/hour fields on the back of the card. Chairlift/Libegő in Zugliget in the Buda Hills. The Bp card is not valid for the Buda Castle Funicular/Budavári Sikló and the Chairlift/Libegő in Zugliget. Memento Park – Communist Statue Park in the outskirts: Balatoni út-Szabadkai utca, distr. XXII. Open: every day: 10.00-till dusk. Hungarian National Museum, Múzeum krt. 14-16., district VIII. Museum of Budapest History, Buda Royal Palace, district I.
Hungarian Museum of Trade and Tourism, Korona tér 1., Óbuda, district III. Kiscelli Museum, Kiscelli utca 108. Óbuda, district III. Vasarely Museum, Szent Lélek tér 6. Óbuda, district III. Hopp Ferenc East-Asian Museum, Andrássy út 103. district VI. Aquincum Museum and Archaeological Park,Szentendrei út 135. Óbuda, district III. Mai Manó House – Photo Gallery, Nagymező utca 20., District VI. Robert Capa Contemporary Photography Center, Nagymező utca 8., District VI. Museum of Hungarian Customs and Finance Guard, Munkácsy Mihály utca 19/b., district VI. Note: Museums in Budapest are closed on Mondays. The Lukács Spa is located on the Buda side near Margaret bridge. It’s a historic bath dating back to the early middle ages. a sun terrace make a visit to Lukács a very nice leisure activity. The card also let’s you enter the Széchenyi Spa in City park and the Gellért Bath in Buda for 20% less. Discounted entry also to the Palatinus Lido, Római Lido, Király Bath, Rudas Bath. The tours depart every day, rain or shine, registration isn’t required, just be there on time. You can do the tour Buda tour on one day then relax in a bath, and go to the Pest tour on another day. Departs at 14:00 daily, starting point is the Holy Trinity Column at Szentháromság Square next to Matthias Church. You’ll also walk up to the Citadel on Gellért Hill to enjoy the amazing view. Note: Interior visits are not included. Duration: 2 – 2.5 hours. Departs at 10:00 daily, from Molnár’s Kürtöskalács Cafe in Váci Street (address: Váci utca 31., Budapest 1052). You drop by the Downtown Market in Hold Street. The tour ends at the Parliament on Kossuth Square. Download the full list of discounts and free activities valid with the cards (pdf file). Free Pocket Guide mobile app: 13 thematic tours to help you explore the city. 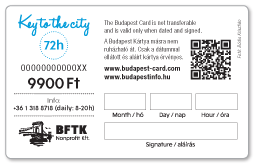 How to Fill Out/Activate Your Budapest Card? The card is valid for one person, regardless sof age, for 120 hours starting from the time of first use (there’s a buil-in chip that activates the card upon first use). Month/Hó: 07 – Day/Nap: 6 – Hour/Óra: 9 Note: You round the the hour backward! Month/Hó: 12 – Day/Nap: 28 – Hour/Óra: 21 Note: You have to use the 24 Hour clock system, not pm or am! Please also remember to sign the card! 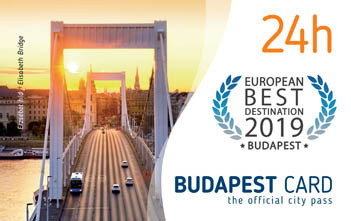 See also the full list of discounts and services with Budapest Card!